Yanhuang International Development Company, Inc.
(1) The offering price has been arbitrarily determined by the Company and bears no relationship to assets, earnings, or any other valuation criteria. No assurance can be given that the shares offered hereby will have a market value or that they may be sold at this, or at any price. (2) Estimated solely for purposes of calculating the registration fee in accordance with Rule 457(o) of the Securities Act of 1933. THE REGISTRANT HEREBY AMENDS THIS REGISTRATION STATEMENT ON SUCH DATE OR DATES AS MAY BE NECESSARY TO DELAY OUR EFFECTIVE DATE UNTIL THE REGISTRANT SHALL FILE A FURTHER AMENDMENT WHICH SPECIFICALLY STATES THAT THIS REGISTRATION STATEMENT SHALL THEREAFTER BECOME EFFECTIVE IN ACCORDANCE WITH SECTION 8(A) OF THE SECURITIES ACT OF 1933 OR UNTIL THE REGISTRATION STATEMENT SHALL BECOME EFFECTIVE ON SUCH DATE AS THE COMMISSION, ACTING PURSUANT TO SAID SECTION 8(A), MAY DETERMINE. THE INFORMATION IN THIS PROSPECTUS IS NOT COMPLETE AND MAY BE CHANGED. WE MAY NOT SELL THESE SECURITIES UNTIL THE REGISTRATION STATEMENT FILED WITH THE SECURITIES AND EXCHANGE COMMISSION IS EFFECTIVE. THIS PROSPECTUS IS NOT AN OFFER TO SELL THESE SECURITIES AND IT IS NOT SOLICITING AN OFFER TO BUY THESE SECURITIES IN ANY STATE WHERE THE OFFER OR SALE IS NOT PERMITTED. THERE IS NO MINIMUM PURCHASE REQUIREMENT FOR THE OFFERING TO PROCEED. Prior to this Offering, no public market has existed for the common stock of Yanhuang International Development Company, Inc. We will attempt to have our shares quoted on the Over the Counter-Bulletin Board (“OTCBB”), operated by FINRA (Financial Industry Regulatory Authority) and or the OTC Marketplace. There is no assurance that the Shares will ever be quoted on the Bulletin Board or the OTC Marketplace. To be quoted on the Bulletin Board, a market maker must apply to make a market in our common stock. As of the date of this Prospectus, we have not made any arrangement with any market makers to quote our shares. Additionally, it should be noted that our company is currently a shell company. We are not however, a blank check company and have no plans or intentions to engage in a business combination following this offering. We are offering 30,000,000 shares of our common stock for sale in this prospectus. All of the proceeds of this offering will go directly to the company. The offering is being made on a self-underwritten, “best efforts” basis. There is no minimum number of shares required to be purchased by each investor. The shares offered by the Company will be sold on our behalf by our Chief Executive Officer, Ke Yi Cai. He will not receive any commissions or proceeds for selling the shares on our behalf. All of the shares being registered for sale by the Company will be sold at a fixed price per share of $0.01 for the duration of the Offering. Assuming all of the 30,000,000 shares being offered by the Company are sold, the Company will receive $300,000 in gross proceeds. There is no minimum amount we are required to raise from the shares being offered by the Company and any funds received will be immediately available to us. There is no guarantee that this Offering will successfully raise enough funds to institute our company’s business plan. Additionally, there is no guarantee that a public market will ever develop and you may be unable to sell your shares. This primary offering will terminate upon the earliest of (i) such time as all of the common stock has been sold pursuant to the registration statement or (ii) 365 days from the effective date of this Prospectus, unless extended by our directors for an additional 90 days. If all the shares are not sold in the company’s offering, there is the possibility that the amount raised may be minimal and might not even cover the costs of the offering, which the Company estimates at $35,000. The proceeds from the sale of the securities will be placed directly into the Company’s account; any investor who purchases shares will have no assurance that any monies, beside their own, will be subscribed to the prospectus. All proceeds from the sale of the securities are non-refundable, except as may be required by applicable laws. The Company will pay all expenses incurred in this offering. There has been no public trading market for the common stock of Yanhuang International Development Company, Inc. The Company qualifies as an “emerging growth company” as defined in the Jumpstart Our Business Startups Act, which became law in April 2012 and will be subject to reduced public company reporting requirements. THESE SECURITIES ARE SPECULATIVE AND INVOLVE A HIGH DEGREE OF RISK. YOU SHOULD PURCHASE SHARES ONLY IF YOU CAN AFFORD THE COMPLETE LOSS OF YOUR INVESTMENT. PLEASE REFER TO ‘RISK FACTORS’ BEGINNING ON PAGE 8. NEITHER THE SECURITIES AND EXCHANGE COMMISSION NOR ANY STATE SECURITIES COMMISSION HAS APPROVED OR DISAPPROVED OF THESE SECURITIES OR PASSED UPON THE ADEQUACY OR ACCURACY OF THE PROSPECTUS. ANY REPRESENTATION TO THE CONTRARY IS A CRIMINAL OFFENSE. You should rely only on the information contained in this Prospectus and the information we have referred you to. We have not authorized any person to provide you with any information about this Offering, the Company, or the shares of our Common Stock offered hereby that is different from the information included in this Prospectus. If anyone provides you with different information, you should not rely on it. The following table of contents has been designed to help you find important information contained in this prospectus. We encourage you to read the entire prospectus. You should rely only on the information contained in this prospectus or contained in any free writing prospectus filed with the Securities and Exchange Commission. We have not authorized anyone to provide you with additional information or information different from that contained in this prospectus filed with the Securities and Exchange Commission. We take no responsibility for, and can provide no assurance as to the reliability of, any other information that others may give you. We are offering to sell, and seeking offers to buy, our common stock only in jurisdictions where offers and sales are permitted. The information contained in this prospectus is accurate only as of the date of this prospectus, regardless of the time of delivery of this prospectus or any sale of shares of our common stock. Our business, financial condition, results of operations and prospects may have changed since that date. For investors outside the United States: We have not done anything that would permit this offering or possession or distribution of this prospectus in any jurisdiction where action for that purpose is required, other than in the United States. Persons outside the United States who come into possession of this prospectus must inform themselves about, and observe any restrictions relating to, the offering of the shares of common stock and the distribution of this prospectus outside the United States. In this Prospectus,‘‘Yanhuang International Development Company,’’ the “Company,’’ ‘‘we,’’ ‘‘us,’’ and ‘‘our,’’ refer to Yanhuang International Development Company, Inc., unless the context otherwise requires. Unless otherwise indicated, the term ‘‘fiscal year’’ refers to our fiscal year ending June 30. Unless otherwise indicated, the term ‘‘common stock’’ refers to shares of the Company’s common stock. This Prospectus, and any supplement to this Prospectus include “forward-looking statements”. To the extent that the information presented in this Prospectus discusses financial projections, information or expectations about our business plans, results of operations, products or markets, or otherwise makes statements about future events, such statements are forward-looking. Such forward-looking statements can be identified by the use of words such as “intends”, “anticipates”, “believes”, “estimates”, “projects”, “forecasts”, “expects”, “plans” and “proposes”. Although we believe that the expectations reflected in these forward-looking statements are based on reasonable assumptions, there are a number of risks and uncertainties that could cause actual results to differ materially from such forward-looking statements. These include, among others, the cautionary statements in the “Risk Factors” section and the “Management’s Discussion and Analysis” section in this Prospectus. This summary only highlights selected information contained in greater detail elsewhere in this Prospectus. This summary may not contain all of the information that you should consider before investing in our common stock. You should carefully read the entire Prospectus, including “Risk Factors” beginning on Page 8, and the financial statements, before making an investment decision. Yanhuang International Development Company, Inc. is a start-up stage company that plans to sell tea and tea related products. Through our agreement with Hangzhou Yanhuang Tea Co., Ltd we plan to fill the growing need and demand for high quality tea and tea based products within China, the United States and Internationally. Currently, the Company is in its research and development stages. The Company was incorporated under the laws of the State of Delaware on June 22, 2015. We have not generated any revenues to date and our activities have been limited to developing our business and financial plans. We will not have the necessary capital to develop or execute our business plan until we are able to secure financing. There can be no assurance that such financing will be available on suitable terms. Even if we raise 100% of the offering, we may not have sufficient capital to begin generating substantial revenues from operations. Furthermore we may not begin generating any revenues from operations even if we raise 100% of the offering. We believe we need to raise $300,000 to execute our business plan over the next 12 months. The funds raised in this offering, even assuming we sell all the shares being offered, may be insufficient to commercialize our intended service offering or develop our business strategy. We will receive the proceeds from the sale of the 30,000,000 shares of our common stock and intend to use the proceeds from this offering to begin implementing the business plan of our company. The expenses of this offering, including the preparation of this prospectus and the filing of this registration statement, estimated at $35,000.00, are being paid for by us. The Company is covering the costs of this offering. In the event that the Company can not cover the costs of the offering due to financial condition, the Company’s CEO Ke Yi Cai has agreed to provide funds to the Company to cover such costs. The maximum proceeds we can receive from this offering ($300,000) will satisfy our basic subsistence level cash requirements for up to 12 months including our plans for the purchase of inventory, development of our Company website, marketing efforts, hiring of staff, and purchase or rental of retail/ distribution space. In their audit report dated July 30, 2015, our auditors have expressed an opinion that substantial doubt exists as to whether we can continue as an ongoing business. Because our two current officers, and directors, of which make up our two sole shareholders, may be unwilling or unable to loan or advance any additional capital to us, we believe that if we do not raise additional capital within 12 months of the effective date of this registration statement, we may be required to suspend or cease the implementation of our business plan. We have authorized capital stock consisting of 1,000,000,000 shares of common stock, $0.0001 par value per share (“Common Stock”). Currently we have 40,000,000 shares of Common Stock issued and outstanding. Through this offering we will register a total of 30,000,000 shares that will subsequently by issued by our company to investors who purchase our shares. We may endeavor to sell all 30,000,000 shares of common stock after this registration becomes effective. The price at which we, the company, offer these shares is at a fixed price of $0.01 per share for the duration of the offering. There is no arrangement to address the possible effect of the offering on the price of the stock. We will receive all proceeds from the sale of our common stock. 30,000,000 shares of common stock, at a fixed price of $0.01 offered by us in a direct offering. Our offering will terminate upon the earliest of (i) such time as all of the common stock has been sold pursuant to the registration statement or (ii) 365 days from the effective date of this prospectus unless extended by our Board of Directors for an additional 90 days. Offering price per share We will sell the shares at a fixed price per share of $0.01 for the duration of this Offering. Number of shares outstanding before the offering of common stock 40,000,000 common shares are currently issued and outstanding. Number of shares outstanding after the offering of common shares 70,000,000 common shares will be issued and outstanding if we sell all of the shares we are offering. sold in this offering None. Market for the common shares There is no public market for the common shares. The price per share is $0.01. We may not be able to meet the requirement for a public listing or quotation of our common stock. Furthermore, even if our common stock is quoted or granted listing, a market for the common shares may not develop. The offering price for the shares will remain at $0.01 per share for the duration of the offering. Use of Proceeds We intend to use the gross proceeds from this offering for the purchase of inventory, development of our Company website, marketing efforts, hiring of staff, and purchase or rental of retail/ distribution space. Termination of the Offering This offering will terminate upon the earlier to occur of (i) 365 days after this registration statement becomes effective with the Securities and Exchange Commission, or (ii) the date on which all 30,000,000 shares registered hereunder have been sold. We may, at our discretion, extend the offering for an additional 90 days. Terms of the Offering Our Chief Executive Officer, and Chairman of the Board of Directors Ke Yi Cai will sell the 30,000,000 shares of common stock on behalf of the company, upon effectiveness of this registration statement, on a BEST EFFORTS basis. All subscriptions once accepted by us are irrevocable. We estimate our total offering registration costs to be approximately $35,000. Risk Factors: See “Risk Factors” and the other information in this prospectus for a discussion of the factors you should consider before deciding to invest in shares of our common stock. If all the Shares in this Offering are sold, our officers and directors, of which makes up our two sole shareholders at this time, will own approximately 57.14% of the voting power of our outstanding capital stock. You should rely only upon the information contained in this prospectus. We have not authorized anyone to provide you with information different from that which is contained in this prospectus. We are offering to sell common stock and seeking offers to common stock only in jurisdictions where offers and sales are permitted. The following table sets forth selected financial information, which should be read in conjunction with the information set forth in the “Management’s Discussion and Analysis of Financial Position and Results of Operations” section and the accompanying financial statements and related notes included elsewhere in this Prospectus. The tables and information below are derived from our financial statements for the period from June 22, 2015 (Inception) to June 30, 2015. The Company is electing to not opt out of JOBS Act extended accounting transition period. This may make its financial statements more difficult to compare to other companies. Pursuant to the JOBS Act of 2012, as an emerging growth company the Company can elect to opt out of the extended transition period for any new or revised accounting standards that may be issued by the PCAOB or the SEC. The Company has elected not to opt out of such extended transition period, which means that when a standard is issued or revised and it has different application dates for public or private companies, the Company, as an emerging growth company, can adopt the standard for the private company. This may make comparison of the Company’s financial statements with any other public company which is not either an emerging growth company nor an emerging growth company which has opted out of using the extended transition period difficult or impossible as possible different or revised standards may be used. · be permitted to adopt any new or revised accounting standards using the same timeframe as private companies (if the standard applies to private companies). · the date on which we become a large accelerated filer, which generally is a company with a public float of at least $700 million (Exchange Act Rule 12b-2). Our cash balance is $0 as of June 30, 2015. Our cash balance is not sufficient to fund our limited levels of operations for any period of time. We have been utilizing and may utilize funds from our Chief Executive Officer, Ke Yi Cai, or our Chief Financial Officer, Yue Kan, who have informally agreed to advance funds to allow us to pay for filing fees, and professional fees. Ke Yi Cai, and Yue Kan however, have no formal commitment, arrangement or legal obligation to advance or loan funds to the company. In order to implement our plan of operations for the next twelve-month period, we require a minimum of $300,000 of funding from this offering. If we are not able to raise the minimum $300,000, which may be a possibility if we only raise a portion of the funds we are looking for in this offering, then we may be forced to significantly scale back our planned operations or alternatively conduct another round of fundraising. In the event that we are not able to raise what we feel is the minimum amount required to implement our business plan at our desired level, then we will need to scale back how much money is allocated to every step of our process. For specific reference on how the money we raise in this offering is to be allocated at every level of funding, please see our ‘Use of Proceeds’ section on page 18. Being a start-up stage company, we have a very limited operating history. After a twelve-month period we may need additional financing but currently do not have any arrangements for such financing. We have decided to raise $300,000, which we believe will only fund our operations through one year, because we are a start up company with minimal operations and nominal assets. We do not believe seeking more funding than we strictly require for one year would be appropriate, and if we are able to raise the money we are seeking in this offering we believe that will be sufficient to get us to the point where we can begin generating revenue and become profitable. We are a start-up stage company and have not generated any revenue to date. Long term financing beyond the maximum aggregate amount of this offering will be required to fully implement our business plan. The exact amount of funding will depend on funding required for full implementation of our business plan. Our expansion may include expanding our office facilities, hiring sales personnel and developing a customer base. We do not currently have plans for our expansion, and have not yet decided on the scale of our expansion if we decided to do so and on the exact amount of funding needed for our long term financing. In order to fully enact our business plan to become a global tea distributor we will need an unknown amount of cash available which we speculate to be between 1-5 million USD. The reason we would require so much more capital in order to become a global presence is because we would need to significantly increase our number of employees and our marketing budget. We would also need more money allocated towards the purchase of products in order to meet the demands of consumers throughout the world, and potentially even more physical real estate from which to offer our tea products. Our full plans are still far from fruition, and due to that fact this can not be referenced in more than a purely speculative manner, with the current amount we are raising sufficient to meet our basic and immediate plans, as we have disclosed throughout this offering statement. To meet our need for cash we are attempting to raise money from this offering. We believe that we will be able to raise enough money through this offering to start our proposed operations but we cannot guarantee that once we start operations we will stay in business after doing so. If we are unable to successfully find customers we may quickly use up the proceeds from this offering and will need to find alternative sources of funding. At the present time, we have not made any arrangements to raise additional cash, other than through this offering. Please consider the following risk factors and other information in this prospectus relating to our business before deciding to invest in our common stock. This offering and any investment in our common stock involves a high degree of risk. You should carefully consider the risks described below and all of the information contained in this prospectus before deciding whether to purchase our common stock. If any of the following risks actually occur, our business, financial condition and results of operations could be harmed. The trading price of our common stock could decline due to any of these risks, and you may lose all or part of your investment. We consider the following to be the material risks for an investor regarding this offering. Our company should be viewed as a high-risk investment and speculative in nature. An investment in our common stock may result in a complete loss of the invested amount. An investment in our common stock is highly speculative, and should only be made by persons who can afford to lose their entire investment in us. You should carefully consider the following risk factors and other information in this report before deciding to become a holder of our common stock. If any of the following risks actually occur, our business and financial results could be negatively affected to a significant extent. We will require additional funds in the future to achieve our current business strategy and our inability to obtain funding will cause our business to fail. We will need to raise additional funds through public or private debt or equity sales in order to fund our future operations and fulfill contractual obligations in the future. These financings may not be available when needed. Even if these financings are available, it may be on terms that we deem unacceptable or are materially adverse to your interests with respect to dilution of book value, dividend preferences, liquidation preferences, or other terms. Our inability to obtain financing would have an adverse effect on our ability to implement our current business plan and develop our products, and as a result, could require us to diminish or suspend our operations and possibly cease our existence. Even if we are successful in raising capital in the future we will likely need to raise additional capital to continue and/or expand our operations. If we do not raise the additional capital, the value of any investment in our Company may become worthless. In the event we do not raise additional capital from conventional sources, it is likely that we may need to scale back or curtail implementing our business plan. The Company, being a start-up stage Company, has not generated any revenues to date since our inception June 22, 2015. We are a start-up stage company. Our ability to continue as a going concern is dependent upon our ability to commence a commercially viable operation and to achieve profitability. Since our inception June 22, 2015, we have not generated any revenues, and currently have only limited operations, as we are presently in the planning stage of our business development as an exploration stage company. These factors raise substantial doubt about our ability to continue as a going concern. We may not be able to generate revenues in the future and as a result the value of our common stock may become worthless. There are no assurances that we will be successful in raising additional capital or successfully developing and commercializing our products and becoming profitable. We have a limited operating history that you can use to evaluate us, and the likelihood of our success must be considered in light of the problems, expenses, difficulties, complications and delays that we may encounter because we are a small developing company. As a result, we may not be profitable and we may not be able to generate sufficient revenue to develop as we have planned. We were incorporated in Delaware on June 22, 2015. We have no significant assets or financial resources. The likelihood of our success must be considered in light of the expenses and difficulties in development of a customer base nationally and internationally, attaining and retaining customers and obtaining financing to meet the needs of our plan of operations. Since we have a limited operating history we may not be profitable and we may not be able to generate sufficient revenues to meet our expenses and support our anticipated activities. We are an early stage company with an unproven business strategy and may never be able to fully implement our business plan or achieve profitability. We are at an early stage of development of our operations as a company. We have only recently started to operate business activities, and have not generated revenue from such operations. A commitment of substantial resources to conduct time-consuming research in many respects will be required if we are to complete the development of our company into one that is more profitable. There can be no assurance that we will be able to fully implement our business plan at reasonable costs or successfully operate. We expect it will take several years to implement our business plan fully, if at all. Our limited operating history makes it difficult for us to accurately forecast net sales and appropriately plan our expenses. We have a very limited operating history. As a result, it is difficult to accurately forecast our net sales and plan our operating expenses. This inability could cause our net income, if there is any income at all, in a given quarter to be lower than expected. Because our business is highly concentrated on a single, discretionary product category, premium loose-leaf teas and tea-related merchandise, we are vulnerable to changes in consumer preferences and in economic conditions affecting disposable income that could harm our financial results. Our business is not diversified and consists primarily of developing, sourcing, marketing and selling premium loose-leaf teas and tea related merchandise. Consumer preferences often change rapidly and without warning, moving from one trend to another among many retail concepts. Therefore, our business is substantially dependent on our ability to educate consumers on the many positive attributes of tea, anticipate shifts in consumer tastes and help drive growth of the overall tea market. Any future shifts in consumer preferences away from the consumption of beverages brewed from premium loose-leaf teas would also have a material adverse effect on our results of operations. Consumer purchases of specialty retail products, including our products, are historically affected by economic conditions such as changes in employment, salary and wage levels, the availability of consumer credit, inflation, interest rates, tax rates, fuel prices and the level of consumer confidence in prevailing and future economic conditions. These discretionary consumer purchases may decline during recessionary periods or at other times when disposable income is lower. Our continued success will depend, in part, on our ability to anticipate, identify and respond quickly to changing consumer preferences and economic conditions. Our success depends, in part, on our ability to source, develop and market new varieties of loose-leaf teas and tea-related merchandise that meet our high standards and customer preferences. Our success depends in part on our ability to continually innovate, develop, source and market new varieties of loose-leaf teas and tea-related merchandise that both meet our standards for quality and appeal to our future customers’ preferences. Failure to innovate, develop, source, market and price new varieties of tea and tea related merchandise that consumers want to buy could lead to a decrease in our sales and profitability. We may experience negative effects to our brand and reputation from real or perceived quality or health issues with our teas and tea-related merchandise, which could have an adverse effect on our operating results. We believe our future customers will rely on us to provide them with premium loose-leaf teas and high-quality tea-related merchandise. Concerns regarding the safety of our teas and tea-related merchandise or the safety and quality of our supply chain could cause shoppers to avoid purchasing certain products from us or to seek alternative sources of tea, even if the basis for the concern has been addressed or is outside of our control. Adverse publicity about these concerns, whether or not ultimately based on fact, and whether or not involving teas or tea-related merchandise sold by us, could discourage consumers from buying our teas and tea-related merchandise and have an adverse effect on our brand, reputation and operating results. Furthermore, the sale of tea entails a risk of product liability claims and the resulting negative publicity associated with such claims. Tea supplied to us may contain contaminants that, if not detected by us, could result in illness or death upon their consumption. We cannot assure you that product liability claims will not be asserted against us or that we will not be obligated to perform product recalls in the future. We may also be subject to involuntary product recalls or may voluntarily conduct a product recall and the costs associated with any future product recall could, individually and in the aggregate, be significant in any given fiscal year. In addition, any product recall, regardless of direct costs of the recall, may harm consumer perceptions of our teas and tea-related merchandise and have a negative impact on our future sales and results of operations. Any loss of confidence on the part of our future customers in the safety and quality of our teas and tea-related merchandise would be difficult and costly to overcome. Any such adverse effect could be exacerbated by our position in the market as a purveyor of premium loose-leaf teas and high-quality tea-related merchandise and could significantly reduce our brand value. Issues regarding the safety of any teas or tea-related merchandise sold by us, regardless of the cause, could have a substantial and adverse effect on our sales and operating results. We operate in a highly competitive environment. Our competition includes all other companies that are in the business of research and distribution of tea and tea related products. A highly competitive environment could materially adversely affect our business, financial condition, results of operations, cash flows and prospects. Because we are small and do not have much capital, our marketing campaign may not be enough to attract sufficient customers to operate profitably. If we do not make a profit, we will suspend or cease operations. Due to the fact we are small and do not have much capital, we must limit our marketing activities and may not be able to make our product known to potential customers. Because we will be limiting our marketing activities, we may not be able to attract enough customers to operate profitably. If we cannot operate profitably, we may have to suspend or cease operations. We expect our quarterly financial results to fluctuate. • Costs of creating and expanding product lines. As a result of the variability of these and other factors, our operating results in future quarters may be below the expectations of public market analysts and investors. Our future success is dependent, in part, on the performance and continued service of Ke Yi Cai, our President and CEO. Without his continued service, we may be forced to interrupt or eventually cease our operations. We are presently dependent to a great extent upon the experience, abilities and continued services of Ke Yi Cai, our President and CEO. We currently do not have an employment agreement with Mr. Cai. The loss of his services would delay our business operations substantially. A shortage in the supply, a decrease in quality or an increase in the price of teas and tea-related merchandise as a result of weather conditions, earthquakes, crop disease, pests or other natural or manmade causes outside of our control could impose significant costs and losses on our business. The supply and price of tea is subject to fluctuation, depending on demand and other factors outside of our control. The supply, quality and price of our teas and tea-related merchandise can be affected by multiple factors in tea-producing countries, including political and economic conditions, civil and labor unrest, adverse weather conditions, including floods, drought and temperature extremes, earthquakes, tsunamis, and other natural disasters and related occurrences. This risk is particularly true with respect to regions or countries from which we source a significant percentage of our products. In extreme cases, entire tea harvests may be lost or production of tea-related merchandise may be negatively impacted in some geographic areas. These factors can increase costs and decrease sales, which may have a material adverse effect on our business, results of operations and financial condition. Tea may be vulnerable to crop disease and pests, which may vary in severity and effect. The costs to control disease and pest damage vary depending on the severity of the damage and the extent of the plantings affected. Moreover, there can be no assurance that available technologies to control such conditions will continue to be effective. These conditions can increase costs and decrease sales, which may have a material adverse effect on our business, results of operations and financial condition. Because our current Chief Executive Officer, Ke Yi Cai has other business interests he may not be able or willing to devote a sufficient amount of time to our business operations, causing our business to fail. Ke Yi Cai, our Chief Executive Officer and director, currently devotes approximately twenty hours per week providing management services to us. While he presently possesses adequate time to attend to our interest, it is possible that the demands on him from other obligations could increase, with the result that he would no longer be able to devote sufficient time to the management of our business. The loss of Ke Yi Cai to our company could negatively impact our business development. Our future success is dependent on our implementation of our business plan. We have many significant steps still to take. Our success will depend in large part in our success in achieving several important steps in the implementation of our business plan, including the following: acquiring business information, development of customers, development of suppliers, implementing order processing and customer service capabilities, and management of business process. If we are not successful, we will not be able to fully implement or expand our business plan. Due to the fact that we have non-US officers and Directors your abilities an investor in the United States may be limited in the following ways. -bringing an original action in a Chinese court to enforce liabilities based upon the U.S. federal securities laws against the above foreign persons. We need to further develop our sales and marketing capabilities to support our commercialization efforts. If we fail to increase and enhance our marketing and sales force, we may not be able to enter new or existing markets. Failure to recruit, train and retain new sales personnel, or the inability of our new sales personnel to effectively market and sell our products, could impair our ability to gain market acceptance of our products. • Adoption of measures that could delay or prevent a change in control or impede a merger, takeover or other business combination involving us. As a result of our officers’ ownership and position, they are able to substantially influence all matters requiring stockholder approval, including the election of directors and approval of significant corporate transactions. In addition, the future prospect of sales of significant amounts of shares held by both individuals could effect the market price of our common stock if the marketplace does not orderly adjust to the increase in shares in the market and the value of your investment in our company may decrease. The stock ownership of Mr. Cai and Mr. Kan may discourage a potential acquirer from making a tender offer or otherwise attempting to obtain control of us, which in turn could reduce our stock price or prevent our stockholders from realizing a premium over our stock price. Our business plan heavily relies upon our agreement with Hangzhou Yanhuang Company, Ltd. and if the availability of their products becomes limited, or unavailable then our business may be adversely effected. We have an agreement in place to purchase tea from Hanzhou Yanhuang Company at certain price points depending on the brand and quantity of tea that we decide to purchase. 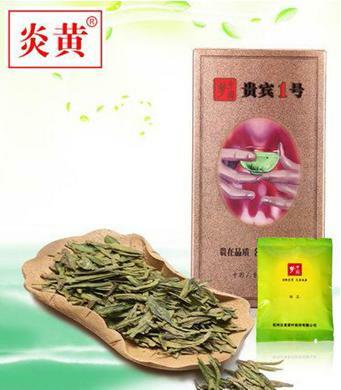 There is a possibility that when we intend to make a purchase of tea from Hangzhou Yanhuang Company that it may be unavailable or only available in limited quantities. Because of this we may be negatively affected as we may not be able keep up with demand due to our limited supply of tea available for sale. The Company is currently in the exploration stage, with only limited operations, and has not generated any revenue since inception on June 22, 2015. The Company's growth, if any, is expected to place a significant strain on the Company's managerial, operational and financial resources. Moving forward, the Company's systems, procedures or controls may not be adequate to support the Company's operations and/or the Company may be unable to achieve the rapid execution necessary to successfully implement its business plan. The Company's future operating results, if any, will also depend on its ability to add additional personnel commensurate with the growth of its operations, if any. If the Company is unable to manage growth effectively, the Company's business, results of operations and financial condition will be adversely affected. The recently enacted JOBS Act will allow the Company to postpone the date by which it must comply with certain laws and regulations intended to protect investors and to reduce the amount of information provided in reports filed with the SEC. -be exempt from any rules that may be adopted by the Public Company Accounting Oversight Board (the “PCAOB”) requiring mandatory audit firm rotation or a supplement to the auditor’s report on the financial statements. Although the Company is still evaluating the JOBS Act, it currently intends to take advantage of all of the reduced regulatory and reporting requirements that will be available to it so long as it qualifies as an “emerging growth company”. The Company has elected not to opt out of the extension of time to comply with new or revised financial accounting standards available under Section 102(b)(1) of the JOBS Act. Among other things, this means that the Company's independent registered public accounting firm will not be required to provide an attestation report on the effectiveness of the Company's internal control over financial reporting so long as it qualifies as an “emerging growth company”, which may increase the risk that weaknesses or deficiencies in the internal control over financial reporting go undetected. Likewise, so long as it qualifies as an “emerging growth company”, the Company may elect not to provide certain information, including certain financial information and certain information regarding compensation of executive officers, which would otherwise have been required to provide in filings with the SEC, which may make it more difficult for investors and securities analysts to evaluate the Company. As a result, investor confidence in the Company and the market price of its common stock may be adversely affected. Notwithstanding the above, we are also currently a “smaller reporting company”, meaning that we are not an investment company, an asset-backed issuer, or a majority-owned subsidiary of a parent company that is not a smaller reporting company and have a public float of less than $75 million and annual revenues of less than $50 million during the most recently completed fiscal year. In the event that we are still considered a “smaller reporting company”, at such time are we cease being an “emerging growth company”, the disclosure we will be required to provide in our SEC filings will increase, but will still be less than it would be if we were not considered either an “emerging growth company” or a “smaller reporting company”. Specifically, similar to “emerging growth companies”, “smaller reporting companies” are able to provide simplified executive compensation disclosures in their filings; are exempt from the provisions of Section 404(b) of the Sarbanes-Oxley Act requiring that independent registered public accounting firms provide an attestation report on the effectiveness of internal control over financial reporting; and have certain other decreased disclosure obligations in their SEC filings, including, among other things, being required to provide only two years of audited financial statements in annual reports. Decreased disclosures in our SEC filings due to our status as an “emerging growth company” or “smaller reporting company” may make it harder for investors to analyze the Company’s results of operations and financial prospects. We are an “emerging growth company” under the JOBS Act of 2012, and we cannot be certain if the reduced disclosure requirements applicable to emerging growth companies will make our common stock less attractive to investors. We are an “emerging growth company,” as defined in the JOBS Act, and we may take advantage of certain exemptions from various reporting requirements that are applicable to other public companies that are not “emerging growth companies” including, but not limited to, not being required to comply with the auditor attestation requirements of Section 404 of the Sarbanes-Oxley Act, reduced disclosure obligations regarding executive compensation in our periodic reports and proxy statements, and exemptions from the requirements of holding a nonbinding advisory vote on executive compensation and shareholder approval of any golden parachute payments not previously approved. We cannot predict if investors will find our common stock less attractive because we may rely on these exemptions. If some investors find our common stock less attractive as a result, there may be a less active trading market for our common stock and our stock price may be more volatile. In addition, Section 107 of the JOBS Act also provides that an “emerging growth company” can take advantage of the extended transition period provided in Section 7(a)(2)(B) of the Securities Act for complying with new or revised accounting standards. In other words, an “emerging growth company” can delay the adoption of certain accounting standards until those standards would otherwise apply to private companies. We are choosing to take advantage of the extended transition period for complying with new or revised accounting standards. As a result, our financial statements may not be comparable to those of companies that comply with public company effective dates. We will remain an “emerging growth company” for up to five years, although we will lose that status sooner if our revenues exceed $1 billion, if we issue more than $1 billion in non-convertible debt in a three year period, or if the market value of our common stock that is held by non-affiliates exceeds $700 million. As we are a publicly reporting company, we will continue to incur significant costs in staying current with reporting requirements. Ke Yi Cai will be required to devote substantial time to compliance initiatives. Additionally, the lack of an internal audit group may result in material misstatements to our financial statements and ability to provide accurate financial information to our shareholders. Ke Yi Cai and other future personnel will need to devote a substantial amount of time to compliance initiatives to maintain reporting status. Moreover, these rules and regulations, that are necessary to remain as an SEC reporting Company, will be costly as an external third party consultant(s), attorney, or firm, may have to assist in some regard to following the applicable rules and regulations for each filing on behalf of the company. We currently do not have an internal audit group, and we will eventually need to hire additional accounting and financial staff with appropriate public company experience and technical accounting knowledge to have effective internal controls for financial reporting. Additionally, due to the fact that we only have one officer and Director, who has no experience as an officer or Director of a reporting company, such lack of experience may impair our ability to maintain effective internal controls over financial reporting and disclosure controls and procedures, which may result in material misstatements to our financial statements and an inability to provide accurate financial information to our stockholders. Moreover, if we are not able to comply with the requirements or regulations as an SEC reporting company, in any regard, we could be subject to sanctions or investigations by the SEC or other regulatory authorities, which would require additional financial and management resources. Our officers and directors lack experience in and with the reporting and disclosure obligations of publicly-traded companies. While we rely heavily on our officers and directors they lack experience in and with the reporting and disclosure obligations of publicly-traded companies and with serving as an officer or Director of a publicly-traded company. Such lack of experience may impair our ability to maintain effective internal controls over financial reporting and disclosure controls and procedures, which may result in material misstatements to our financial statements and an inability to provide accurate financial information to our stockholders. Consequently, our operations, future earnings and ultimate financial success could suffer irreparable harm due to our officers’ and directors’ ultimate lack of experience in our industry and with publicly-traded companies and their reporting requirements in general. Additionally, due to the fact that our officers and directors are lacking experience with companies in our industry, we may be unable to successfully implement our business plan, and/or manage our future growth if any. Our officers and directors do not currently believe that any outside employment affects the day to day operations of the Company. While the Company believes that the time and resources that our officers and directors are able to provide to the Company, and/or which they may be willing to provide to us in the future is sufficient, our operations and growth (if any) may be adversely affected by the fact that our officers and directors are only able to provide a limited number of hours of service to the Company per week and their outside employment. We may never have a public market for our common stock or may never trade on a recognized exchange. Therefore, you may be unable to liquidate your investment in our stock. There is no established public trading market for our securities. Our shares are not and have not been listed or quoted on any exchange or quotation system. In order for our shares to be quoted, a market maker must agree to file the necessary documents with the National Association of Securities Dealers, which operates the OTC Bulletin Board. In addition, it is possible that such application for quotation may not be approved and even if approved it is possible that a regular trading market will not develop or that if it did develop, will be sustained. In the absence of a trading market, an investor may be unable to liquidate their investment. We may in the future issue additional shares of our common stock, which may have a dilutive effect on our stockholders. Our Certificate of Incorporation authorizes the issuance of 1,000,000,000 shares of common stock, of which 40,000,000 shares are issued and outstanding as of September 9, 2015. The future issuance of our common shares may result in substantial dilution in the percentage of our common shares held by our then existing stockholders. We may value any common stock issued in the future on an arbitrary basis. The issuance of common stock for future services or acquisitions or other corporate actions may have the effect of diluting the value of the shares held by our investors, and might have an adverse effect on any trading market for our common stock. We do not currently intend to pay dividends on our common stock and consequently your ability to achieve a return on your investment will depend on appreciation in the price of our common stock. We have never declared or paid any cash dividends on our common stock and do not currently intend to do so for the foreseeable future. We currently intend to invest our future earnings, if any, to fund our growth. Therefore, you are not likely to receive any dividends on your common stock for the foreseeable future and the success of an investment in shares of our common stock will depend upon any future appreciation in its value. There is no guarantee that shares of our common stock will appreciate in value or even maintain the price at which our stockholders have purchased their shares. Pursuant to Rule 144 of the Securities Act of 1933, as amended (“Rule 144”), a “shell company” is defined as a company that has no or nominal operations; and, either no or nominal assets; assets consisting solely of cash and cash equivalents; or assets consisting of any amount of cash and cash equivalents and nominal other assets. As such, because we have nominal assets, we are still considered a “shell company” pursuant to Rule 144 and as such, sales of our securities pursuant to Rule 144 are not able to be made until we have ceased to be a “shell company” and we are subject to Section 13 or 15(d) of the Securities Exchange Act of 1934, as amended, and have filed all of our required periodic reports for at least the previous one year period prior to any sale pursuant to Rule 144; and a period of at least twelve months has elapsed from the date “Form 10 information” (i.e., information similar to that which would be found in a Form 10 Registration Statement filing with the SEC has been filed with the Commission reflecting the Company’s status as a non-“shell company.” Because none of our non-registered securities can be sold pursuant to Rule 144, until one year after filing Form 10 like information with the SEC any non-registered securities we sell in the future or issue to consultants or employees, in consideration for services rendered or for any other purpose will have no liquidity until and unless such securities are registered with the Commission and/or until 12 months after we cease to be a “shell company” and have complied with the other requirements of Rule 144, as described above. As a result, it may be harder for us to fund our operations and pay our consultants with our securities instead of cash. Furthermore, it will be harder for us to raise funding through the sale of debt or equity securities unless we agree to register such securities with the Commission, which could cause us to expend additional resources in the future. Our status as a “shell company” could prevent us from raising additional funds, engaging consultants, and using our securities to pay for any acquisitions (although none are currently planned), which could cause the value of our securities, if any, to decline in value or become worthless. We may be exposed to potential risks resulting from requirements under Section 404 of the Sarbanes-Oxley Act of 2002. As a reporting company we are required, pursuant to Section 404 of the Sarbanes-Oxley Act of 2002, to include in our annual report our assessment of the effectiveness of our internal control over financial reporting. We do not have a sufficient number of employees to segregate responsibilities and may be unable to afford increasing our staff or engaging outside consultants or professionals to overcome our lack of employees. We do not currently have independent audit or compensation committees. As a result, our directors have the ability, among other things, to determine their own level of compensation. Until we comply with such corporate governance measures, regardless of whether such compliance is required, the absence of such standards of corporate governance may leave our stockholders without protections against interested director transactions, conflicts of interest and similar matters and investors may be reluctant to provide us with funds necessary to expand our operations. The costs to meet our reporting and other requirements as a public company subject to the Exchange Act of 1934 is and will be substantial and may result in us having insufficient funds to expand our business or even to meet routine business obligations. As a public entity, subject to the reporting requirements of the Exchange Act of 1934, we will continue to incur ongoing expenses associated with professional fees for accounting, legal and a host of other expenses for annual reports and proxy statements. We estimate that these costs will range up to $35,000 per year for the next few years and will be higher if our business volume and activity increases. As a result, we may not have sufficient funds to grow our operations. Secondary trading in our common stock may not be possible in any state until the common stock is qualified for sale under the applicable securities laws of the state or there is confirmation that an exemption, such as listing in certain recognized securities manuals, is available for secondary trading in the state. If we fail to register or qualify, or to obtain or verify an exemption for the secondary trading of, the common stock in any particular state, the common stock cannot be offered or sold to, or purchased by, a resident of that state. In the event that a significant number of states refuse to permit secondary trading in our common stock, the liquidity for the common stock could be significantly impacted. Investors cannot withdraw funds once invested and will not receive a refund. Investors do not have the right to withdraw invested funds. Subscription payments will be paid to Yanhuang International Development Company, Inc. and held in our corporate bank account if the Subscription Agreements are in good order and the Company accepts the investor’s investment. Therefore, once an investment is made, investors will not have the use or right to return of such funds. Our Chief Executive Officer, Ke Yi Cai does not have any prior experience conducting a best effort offering, and our best effort offering does not require a minimum amount to be raised. As a result, we may not be able to raise enough funds to commence and sustain our business and our investors may lose their entire investment. Ke Yi Cai does not have any experience conducting a best-effort offering. Consequently, we may not be able to raise the funds needed to commence business operations. Also, the best effort offering does not require a minimum amount to be raised. If we are not able to raise sufficient funds, we may not be able to fund our operations as planned, and our business will suffer and your investment may be materially adversely affected. Our inability to successfully conduct a best-effort offering could be the basis of your losing your entire investment in us. The shares being offered are defined as a penny stock under the Securities and Exchange Act of 1934, as amended (the “Exchange Act”), and rules of the Commission. The Exchange Act and such penny stock rules generally impose additional sales practice and disclosure requirements on broker-dealers who sell our securities to persons other than certain accredited investors who are, generally, institutions with assets in excess of $4,000,000 or individuals with net worth in excess of $1,000,000 or annual income exceeding $200,000 ($300,000 jointly with spouse), or in transactions not recommended by the broker-dealer. For transactions covered by the penny stock rules, a broker dealer must make certain mandated disclosures in penny stock transactions, including the actual sale or purchase price and actual bid and offer quotations, the compensation to be received by the broker-dealer and certain associated persons, and must deliver certain disclosures required by the Commission. Consequently, the penny stock rules may make it difficult for you to resell any shares you may purchase. We are selling the shares of this offering without an underwriter and may be unable to sell any shares. This offering is self-underwritten, that is, we are not going to engage the services of an underwriter to sell the shares; we intend to sell our shares through our Chief Executive Officer, who will receive no commissions. There is no guarantee that he will be able to sell any of the shares. Unless he is successful in selling all of the shares of our Company’s offering, we may have to seek alternative financing to implement our business plan. Due to the lack of a trading market for our securities, you may have difficulty selling any shares you purchase in this offering. We are not registered on any market or public stock exchange. There is presently no demand for our common stock and no public market exists for the shares being offered in this prospectus. We plan to contact a market maker immediately following the completion of the offering and apply to have the shares quoted on the Over-the-Counter Bulletin Board (“OTCBB”). The OTCBB is a regulated quotation service that displays real-time quotes, last sale prices and volume information in over-the-counter securities. The OTCBB is not an issuer listing service, market or exchange. Although the OTCBB does not have any listing requirements per se, to be eligible for quotation on the OTCBB, issuers must remain current in their filings with the SEC or applicable regulatory authority. If we are not able to pay the expenses associated with our reporting obligations we will not be able to apply for quotation on the OTC Bulletin Board. Market makers are not permitted to begin quotation of a security whose issuer does not meet this filing requirement. Securities already quoted on the OTCBB that become delinquent in their required filings will be removed following a 30 to 60 day grace period if they do not make their required filing during that time. We cannot guarantee that our application will be accepted or approved and our stock listed and quoted for sale. As of the date of this filing, there have been no discussions or understandings between the Company and anyone acting on our behalf, with any market maker regarding participation in a future trading market for our securities. If no market is ever developed for our common stock, it will be difficult for you to sell any shares you purchase in this offering. In such a case, you may find that you are unable to achieve any benefit from your investment or liquidate your shares without considerable delay, if at all. In addition, if we fail to have our common stock quoted on a public trading market, your common stock will not have a quantifiable value and it may be difficult, if not impossible, to ever resell your shares, resulting in an inability to realize any value from your investment. We will incur ongoing costs and expenses for SEC reporting and compliance. Without revenue we may not be able to remain in compliance, making it difficult for investors to sell their shares, if at all. After the effective date of this prospectus, we will be required to file annual, quarterly and current reports, or other information with the SEC as provided by the Securities Exchange Act. We plan to contact a market maker immediately following the close of the offering and apply to have the shares quoted on the OTC Electronic Bulletin Board. To be eligible for quotation, issuers must remain current in their filings with the SEC. In order for us to remain in compliance we will require future revenues to cover the cost of these filings, which could comprise a substantial portion of our available cash resources. The costs associated with being a publicly traded company in the next 12 month will be approximately $35,000. If we are unable to generate sufficient revenues to remain in compliance it may be difficult for you to resell any shares you may purchase, if at all. Also, if we are not able to pay the expenses associated with our reporting obligations we will not be able to apply for quotation on the OTC Bulletin Board. Our officers and directors have no experience managing a public company, which is required to establish and maintain disclosure controls and procedures and internal control over financial reporting. Our officers and directors have no experience managing a public company, which is required to establish and maintain disclosure controls and procedures and internal control over financial reporting. As a result, we may not be able to operate successfully as a public company, even if our operations are successful. We plan to comply with all of the various rules and regulations, which are required for a public company. However, if we cannot operate successfully as a public company, your investment may be materially adversely affected. Our inability to operate as a public company could be the basis of your losing your entire investment in us. This Prospectus includes market and industry data that we have developed from publicly available information; various industry publications and other published industry sources and our internal data and estimates. Although we believe the publications and reports are reliable, we have not independently verified the data. Our internal data, estimates and forecasts are based upon information obtained from trade and business organizations and other contacts in the market in which we operate and our management’s understanding of industry conditions. As of the date of the preparation of this Prospectus, these and other independent government and trade publications cited herein are publicly available on the Internet without charge. Upon request, the Company will also provide copies of such sources cited herein. Much of the world’s tea is grown in mountainous areas 3,000 – 7,000 feet above sea level, situated between the Tropics of Cancer and Capricorn in mineral-rich and acidic soil. Leading tea-producing countries include Argentina, China, India, Indonesia, Japan, Kenya, Malawi, Sri Lanka, Tanzania and Taiwan. Tea is nearly 5,000 years old. It was discovered in 2737 BC by Chinese Emperor Shen-Nung, also known as the “Divine Healer,” when as legend goes, some tea leaves accidentally blew into the Emperor’s pot of boiling water. The growing demand for tea in the United States has been spurred on by many factors, but not the least of which is the increase in offerings and variations on traditional tea products. With more and more innovation in the tea industry occuring, it is not unusual for tea products to expand beyond the traditional tea aisle. In fact, tea can often be found in the juice, health and interestingly enough candy aisle as well. In addition to the growth of tea, and tea related products, there are many tea shops being launched nationwide, giving consumers even more access to tea than they have had in the past, which has drawn an increase in consumer awareness and a renewed interest in tea and tea related products. According to Tea Association of the U.S.A. Inc., “Tea has seen steady growth beyond supermarkets as well. Specialty teas are now a staple in thousands of coffee shops across the country, and nearly all upscale hotels offer an afternoon tea service. Following Starbucks’ acquisition of Teavana, stand-alone stores are popping up across the country. It is estimated that there are currently more than 4,000 specialty tearooms and retail shops across the country. Additionally, ready-to-drink tea products have increased the availability of this health positioned beverage in non-traditional outlets. Most warehouse clubs, mass merchandisers, gas marts, drug stores, and convenience stores now carry tea products, while large distribution increases in the vending and foodservice sectors have further bolstered tea’s prevalence.” The link to this article can be found previously in our industry overview. The growth of the specialty tea industry goes hand-in-hand with the emergence of a class of consumers who are health conscious and interested in Eastern culture. Until 2013 Tazo’s tea boxes were labeled “Blessed by a certified tea shaman” and they continue to use new-age-style product labeling. Meanwhile, Teavana insists on balance, the importance of “a life well lived,” and the need to “step back from the frantic pace of the modern world.” Tea-drinking draws on a discourse of purification and renewal that complements popular spiritual practices like yoga and meditation. The Tea Gallerie in San Diego holds “Reiki-energy” healing workshops and regularly transforms its tea lounge into a yoga studio. This prospectus contains forward-looking statements that involve risk and uncertainties. We use words such as “anticipate”, “believe”, “plan”, “expect”, “future”, “intend”, and similar expressions to identify such forward-looking statements. Investors should be aware that all forward-looking statements contained within this filing are good faith estimates of management as of the date of this filing. Our actual results could differ materially from those anticipated in these forward-looking statements for many reasons, including the risks faced by us as described in the “Risk Factors” section and elsewhere in this prospectus. The Company was incorporated with the name Yanhuang International Development Company, Inc. under the laws of the State of Delaware on June 22, 2015. On June 30, 2015 Ke Yi Cai was appointed as our Chief Executive Officer, Chief Accounting Officer, and Chairman of our Board of Directors. Simultaneously to the aforementioned appointment, also on June 30, 2015, Yue Kan was appointed as our Chief Financial Officer and Vice Chairman to our Board of Directors. On June 30, 2015 the Company issued 20,000,000 shares of restricted common stock to Ke Yi Cai for services rendered to the Company and as founder shares. His services included developing the Company’s (Yanhuang International Development Company’s) business plan. Ke Yi Cai did not pay any monies for the shares issued. The value of shares is $2,000 based on the par value of $.0001 per share of common stock. On June 30, 2015 the Company issued 20,000,000 shares of restricted common stock to Yue Kan for services rendered to the Company and as founder shares. His services included developing the Company’s (Yanhuang International Development Company’s) business plan. Yue Kan did not pay any monies for the shares issued. The value of shares is $2,000 based on the par value of $.0001 per share of common stock. On June 30, 2015 Ding Fang Huang was appointed as our Chief Operating Officer. Simultaneously to the aforementioned appointment, also on June 30, 2015 Pingxi Zhang was appointed as out Vice President. On September 1, 2015 we consummated an agreement with Hangzhou Yanhuang Co. Ltd. for the purchase of tea products. Business Information of Yanhuang International Development Company, Inc.
Yanhuang International Development Company (referred to as simply "Yanhuang" hereafter) is a start-up stage company incorporated in Delaware with the intention to operate in the tea industry. Yanhuang is committed to procurement, logistics and distribution of high quality tea in China, the United States, and internationally. Rather than focus on providing tea in one market, Yanhuang intends to pursue the sale of tea products in the global marketplace through internal growth, industry leading development of high quality products, strategic marketing plans and possibly acquiring an existing target company or business currently operating in the tea industry in China and/or in the United States which has not been identified specifically at this time. 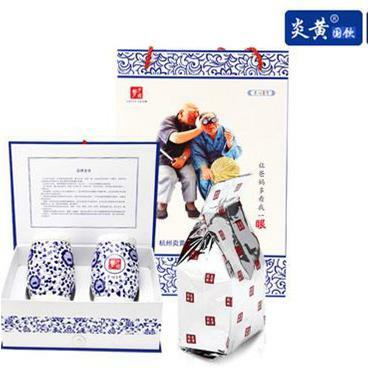 Yanhuang plans to become a rapidly growing specialty retailer who will offer an assortment of tea products produced by Hangzhou Yanhuang Co., Ltd. (referred to as simply "Hangzhou" hereafter). Our wares will include, but will not strictly be limited to, premium loose-leaf teas, authentic artisanal tea-wares and other tea-related merchandise. Hangzhou is a research, production and processing company located in Eastern China with a reputation for high quality tea products. Part of our management team controls Hangzhou, and by utilizing the core components that have proven to be effective through the success of Hangzhou, we intend to expand and develop our business throughout China, and internationally, into a well-recognized and respected company. Currently, we have an active agreement with Hangzhou to purchase the products displayed below for a duration of three years. Alongside the images and name of the products we will be purchasing we have also included the price point at which we will be purchasing these products for easy reference. Our agreement with Hangzhou allows us to renew this agreement for (2) additional (1) year terms at our discretion and is open to being renewed further should we prove to be successful. The below prices are expressed in Chinese Yuan Renminbi’s “RMB” with the current USD equivalent besides each value. Our current plan is to purchase the above tea products at the respective price points we have disclosed and in the minimum order quantity similarly displayed as per our existing agreement with Hangzhou. We will be liable for the shipping costs associated with delivery of each product, however Hangzhou will handle the physical packaging and delivery of the goods. Within the twelve months following our offering we intend to purchase $100,000.00 USD worth of tea from Hangzhou in incremental orders to fulfill a baseline inventory that we can then resell to the public. The amount of inventory we have in stock, and the additional amount we need to purchase from Hangzhou, will be dictated by consumer demand. 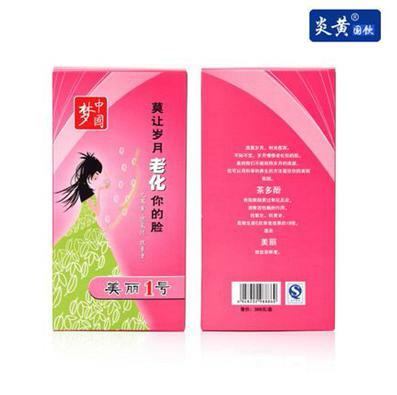 At this time it is our intention to sell the tea both throughout China and globally in the international marketplace. Following the completion of this offering we plan to immediately identify and begin preparations to acquire a retail space that can be used as a multi-purpose distribution and retail center. Due to the fact that we plan, at this point in time, to allocate only $50,000.00 to this endeavor we may find it in our best interest to rent a space in the foreseeable future as opposed to purchasing a permanent location, but this will be determined with greater clarity following this offering when we commence efforts to identify this location. As we do not have a definitive marketing plan in place we intend to hire skilled and experienced marketing personnel to assist with developing and implementing our marketing strategies. We do not expect the hiring process to take any more than several months and we believe that our budget of $100,000.00 is enough to sufficiently meet our marketing needs. We estimate, at this time, that we will hire between one and three employees to focus on developing our marketing campaign, following which we anticipate it will take about six months to implement our newly developed marketing strategies. At this point in time we plan to budget $40,000.00 for our, as of yet, unidentified marketing campaign and believe that this amount will be sufficient to cover any foreseeable expenses that develop over the course of our marketing campaign. While some of our future operations are speculative in nature we do have a well-developed plan in place for a Company website which will display our available tea products online. In addition to more traditional methods of doing business via a storefront or selling our products to other retailers, individuals interested in our tea products will be able to purchase them directly through out company website. Creation of this website has not begun as of this point in time, but we have begun the preliminary process of vetting our potential companies and individuals to begin development of our site when the details have been finalized. At this point in time we do not believe that the cost of a Company website will exceed $10,000.00 and feel as though that budget will be more than sufficient to meet all of our website development needs. Due to the fact that our future success hinges upon Hangzhou to such a large extent, as they are our only supplier at this time, it is important to take a look at exactly how they will benefit our company. Hangzhou is a tea research and promotion company based in Hangzhou, Zhejiang Province China. 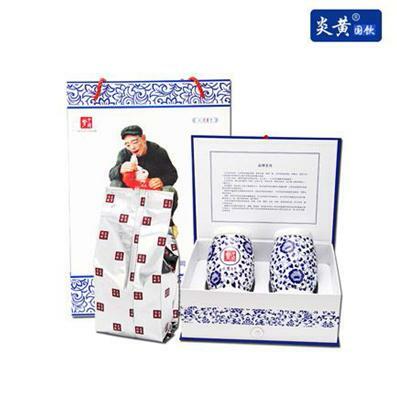 The Company was founded in 2007 by Mr. Ke Yi Cai as a way to promote the Chinese culture through tea drinking and related activities. Specifically, in its desire to expand to the USA and International markets, Hangzhou has developed a line of promising tea products and has plans to brand them for consumers in the tea marketplace who have varying tastes. 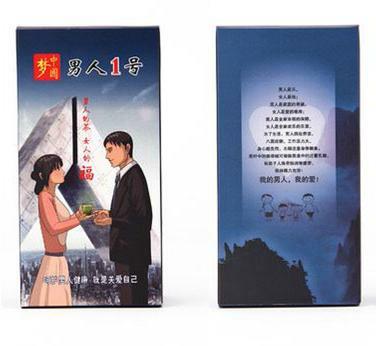 Hangzhou has developed an assorted line of green tea products aimed toward tea loving consumers. 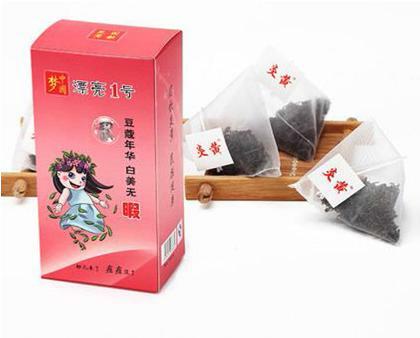 There are a total of ten brands of tea made from naturally grown tea leaves in the Hangzhou, Zhejiang Province which is known for the high quality and excellent flavor of their tea. All of their brands are made from tea leaves from within Hangzhou and are all natural. Given their wide assortment of natural tea flavors, we believe it will provide us a competitive advantage over our competitors selling artificial products with a more narrow selection of tea. Tea is a refreshing beverage that contains no sodium, fat, carbonation, or sugar. It is virtually calorie-free. Tea helps maintain proper fluid balance and may contribute to overall good health. Millions of people enjoy drinking tea every day, and our goal is to reach as many of those individuals as possible. The many health benefits of drinking tea are becoming widely known, and in a fact sheet published by Tea Usa, the following has been discovered: “Tea is an all-natural and environmentally sound product from a renewable source. The tea plant is naturally resistant to most insects; oxidation of the tea leaf is a natural process; and, many tea packers use recycled paper for packaging. Tea contains flavonoids, naturally occurring compounds that are believed to have antioxidant properties. Tea flavonoids often provide bioactive compounds that help to neutralize free radicals, which scientists believe, over time, damage elements in the body, such as genetic material and lipids, and contribute to chronic disease.” Through promotion of our tea products as a healthy, as well as good tasting, alternative to other drinks we hope to develop a substantial market share and garner the business of health conscious individuals worldwide. Yanhuang is firmly committed to promoting tea as the beverage of choice, and through our future marketing efforts we hope to appeal to the growing percentage of the population who prefer healthier alternatives over typical soft serve beverages which provide few of the nutritional benefits of teas. We believe that the time is right to develop a tea business and capture the attention, and business, created by the growing demand for beverages that appeal to health conscious individuals. Tea is a healthy alternative to the majority of the alternatives on the market today, and we believe that everyone can become more productive and enjoy life to the fullest when they are feeling healthy. That belief is what will push our marketing efforts, and with the assured supply of tea products from Hangzhou, Yanhuang expects to capture a large portion of the market interested in tea products. As of September 9, 2015 we have four part time employees, our Chief Executive Officer and Chairman of our Board of Directors Ke Yi Cai, our Chief Financial Officer and Vice Chairman of our Board of Directors Yue Kan, our Chief Operating Officer Ding Fang Huang and Vice President Pingxi Zhang. Currently, all of our officers and directors each have the flexibility to work on our business up to 25 to 30 hours per week, but are prepared to devote more time if necessary. We do not presently have pension, health, annuity, insurance, stock options, profit sharing, or similar benefit plans; however, we may adopt plans in the future. There are presently no personal benefits available to our officers and directors. Currently, there are a number of other companies that are in the beverage or tea industry, that also operate nationally and or worldwide. Specific examples that sell tea related beverages nationally include Tazo, Upton Tea, and Red Rose Tea. Competitors that operate globally include, but are not necessarily limited to, Lipton and Zealong. Our competitors have greater resources than we have at this time, however, we strive to be competitive through providing high quality products and superior customer service. In order to quickly and efficiently gain a substantial market share Yanhuang also intends to utilize and leverage the expertise of our management in the tea marketing and distribution business. Our offering is being made on a self-underwritten basis: no minimum number of shares must be sold in order for the offering to proceed. The offering price per share is $0.01. The following table sets forth the uses of proceeds assuming the sale of 100%, 75%, 50% and 25% of the securities offered for sale by the Company. There is no assurance that we will raise the full $300,000 as anticipated. The above figures represent only estimated costs for the next 12 months. Since our shares are not listed or quoted on any exchange or quotation system, the offering price of the shares of common stock was arbitrarily determined. The offering price was determined by us and is based on our own assessment of our financial condition and prospects, limited offering history, and the general condition of the securities market. It does not necessarily bear any relationship to our book value, assets, past operating results, financial condition or any other established criteria of value. Although our common stock is not listed on a public exchange, we will be filing to obtain a listing on the Over the Counter Bulletin Board (OTCBB) following our offering herein. In order to be quoted on the Bulletin Board, a market maker must file an application on our behalf in order to make a market for our common stock. There is no assurance that our common stock will trade at market prices in excess of the initial public offering price as prices for the common stock in any public market which may develop will be determined in the marketplace and may be influenced by many factors, including the depth and liquidity of the market for the common stock, investor perception of us and general economic and market conditions. The price of the current offering is fixed at $0.01 per share. Dilution represents the difference between the offering price and the net tangible book value per share immediately after completion of this offering. Net tangible book value is the amount that results from subtracting total liabilities and intangible assets from total assets. Dilution arises mainly as a result of our arbitrary determination of the offering price of the shares being offered. Dilution of the value of the shares you purchase is also a result of the lower book value of the shares held by our existing stockholders. The following tables compare the differences of your investment in our shares with the investment of our existing stockholders. The Company has 40,000,000 shares of common stock issued and outstanding as of the date of this prospectus. The Company is registering an additional of 30,000,000 shares of its common stock for sale at the price of $0.01 per share. There is no arrangement to address the possible effect of the offering on the price of the stock. In connection with the Company’s selling efforts in the offering, our Chief Executive Officer Ke Yi Cai will not register as a broker-dealer pursuant to Section 15 of the Exchange Act, but rather will rely upon the “safe harbor” provisions of SEC Rule 3a4-1, promulgated under the Securities Exchange Act of 1934, as amended (the “Exchange Act”). Generally speaking, Rule 3a4-1 provides an exemption from the broker-dealer registration requirements of the Exchange Act for persons associated with an issuer that participate in an offering of the issuer’s securities. Ke Yi Cai is not subject to any statutory disqualification, as that term is defined in Section 3(a)(39) of the Exchange Act. Ke Yi Cai will not be compensated in connection with his participation in the offering by the payment of commissions or other remuneration based either directly or indirectly on transactions in our securities. Ke Yi Cai is not, nor has he been within the past 12 months, a broker or dealer, and he is not, nor has he been within the past 12 months, an associated person of a broker or dealer. At the end of the offering, Ke Yi Cai will continue to primarily perform substantial duties for the Company or on its behalf otherwise than in connection with transactions in securities. Ke Yi Cai will not participate in selling an offering of securities for any issuer more than once every 12 months other than in reliance on Exchange Act Rule 3a4-1(a)(4)(i) or (iii). The Company will receive all proceeds from the sale of the 30,000,000 shares being offered on behalf of the company itself. The price per share is fixed at $0.01 for the duration of this offering. Although our common stock is not listed on a public exchange or quoted over-the counter, we intend to seek to have our shares of common stock quoted on the Over-the Counter Bulletin Board. In order to be quoted on the OTC Bulletin Board, a market maker must file an application on our behalf in order to make a market for our common stock. There can be no assurance that a market maker will agree to file the necessary documents with FINRA, nor can there be any assurance that such an application for quotation will be approved. However, sales by the Company must be made at the fixed price of $0.01 until a market develops for the stock. The Company’s shares may be sold to purchasers from time to time directly by and subject to the discretion of the Company. Further, the Company will not offer its shares for sale through underwriters, dealers, agents or anyone who may receive compensation in the form of underwriting discounts, concessions or commissions from the Company and/or the purchasers of the shares for whom they may act as agents. The shares of common stock sold by the Company may be occasionally sold in one or more transactions; all shares sold under this prospectus will be sold at a fixed price of $0.01 per share. In order to comply with the applicable securities laws of certain states, the securities will be offered or sold in those states only if they have been registered or qualified for sale; an exemption from such registration or if qualification requirement is available and with which the Company has complied. In addition and without limiting the foregoing, the Company will be subject to applicable provisions, rules and regulations under the Exchange Act with regard to security transactions during the period of time when this Registration Statement is effective. The Company will pay all expenses incidental to the registration of the shares (including registration pursuant to the securities laws of certain states), which we expect to be no more than $35,000. - Deliver a check or certified funds to us for acceptance or rejection. All checks for subscriptions must be made payable to “Yanhuang International Development Company, Inc.”. The Company will deliver stock certificates attributable to shares of common stock purchased directly to the purchasers within ninety (90) days of the close of the offering. We have the right to accept or reject subscriptions in whole or in part, for any reason or for no reason. All monies from rejected subscriptions will be returned immediately by us to the subscriber, without interest or deductions. Subscriptions for securities will be accepted or rejected with letter by mail within 48 hours after we receive them. We have authorized capital stock consisting of 1,000,000,000 shares of common stock, $0.0001 par value per share (“Common Stock”) and 20,000,000 shares of preferred stock, $0.0001 par value per share (“Preferred Stock”). As of the date of this filing we have 40,000,000 shares of Common Stock issued and outstanding. The holders of outstanding shares of Common Stock are entitled to receive dividends out of assets or funds legally available for the payment of dividends of such times and in such amounts as the board from time to time may determine. Holders of Common Stock are entitled to one vote for each share held on all matters submitted to a vote of shareholders. There is no cumulative voting of the election of directors then standing for election. The Common Stock is not entitled to pre-emptive rights and is not subject to conversion or redemption. Upon liquidation, dissolution or winding up of our company, the assets legally available for distribution to stockholders are distributable ratably among the holders of the Common Stock after payment of liquidation preferences, if any, on any outstanding payment of other claims of creditors. Shares of Preferred Stock may be issued from time to time in one or more series, each of which shall have such distinctive designation or title as shall be determined by our Board of Directors (“Board of Directors”) prior to the issuance of any shares thereof. Preferred Stock shall have such voting powers, full or limited, or no voting powers, and such preferences and relative, participating, optional or other special rights and such qualifications, limitations or restrictions thereof, as shall be stated in such resolution or resolutions providing for the issue of such class or series of Preferred Stock as may be adopted from time to time by the Board of Directors prior to the issuance of any shares thereof. We have not paid any cash dividends to shareholders. The declaration of any future cash dividends is at the discretion of our board of directors and depends upon our earnings, if any, our capital requirements and financial position, general economic conditions, and other pertinent conditions. It is our present intention not to pay any cash dividends in the foreseeable future, but rather to reinvest earnings, if any, in our business operations. At this time we do not have a stock transfer agent however, in the future we do intend to enlist the services of one. The SEC has adopted regulations which generally define “penny stock” to be any equity security that has a market price (as defined) of less than $5.00 per share or an exercise price of less than $5.00 per share. Such securities are subject to rules that impose additional sales practice requirements on broker-dealers who sell them. For transactions covered by these rules, the broker-dealer must make a special suitability determination for the purchaser of such securities and have received the purchaser’s written consent to the transaction prior to the purchase. Additionally, for any transaction involving a penny stock, unless exempt, the rules require the delivery, prior to the transaction, of a disclosure schedule prepared by the SEC relating to the penny stock market. The broker-dealer also must disclose the commissions payable to both the broker-dealer and the registered representative, current quotations for the securities and, if the broker-dealer is the sole market-maker, the broker-dealer must disclose this fact and the broker-dealer’s presumed control over the market. Finally, among other requirements, monthly statements must be sent disclosing recent price information for the penny stock held in the account and information on the limited market in penny stocks. As the Shares immediately following this Offering will likely be subject to such penny stock rules, purchasers in this Offering will in all likelihood find it more difficult to sell their Shares in the secondary market. The validity of the shares of common stock offered hereby will be passed upon for us by Adam Tracy Esq. of 800 W. 5TH Avenue Suite 201A Naperville, Illinois 60563. The financial statements included in this prospectus and the registration statement have been audited by MaloneBailey, LLP, certified public accountants, to the extent and for the periods set forth in their report appearing elsewhere herein and in the registration statement, and are included in reliance upon such report given upon the authority of said firm as experts in auditing and accounting. We will and will continue to make our financial information equally available to any interested parties or investors through compliance with the disclosure rules of Regulation S-K for a smaller reporting company under the Securities Exchange Act. In addition, we will file Form 8-K and other proxy and information statements from time to time as required. The public may read and copy any materials that we file with the SEC at the SEC's Public Reference Room at 100 F Street NE, Washington, DC 20549. The public may obtain information on the operation of the Public Reference Room by calling the SEC at 1-800-SEC-0330. The SEC maintains an Internet site (http://www.sec.gov) that contains reports, proxy and information statements, and other information regarding issuers that file electronically with the SEC. The office space is currently being provided to the Company rent-free by our Chief Executive Officer, Ke Yi Cai. We believe that our existing facilities are adequate for our current needs and that we will be able to lease suitable additional or alternative space on commercially reasonable terms if and when we need it. For purposes of this definition, the determination of a registrant’s assets (including cash and cash equivalents) is based solely on the amount of assets that would be reflected on the registrant’s balance sheet prepared in accordance with generally accepted accounting principles on the date of that determination. The Company has no or nominal operations and has assets consisting solely of cash and cash equivalents and is, therefore, a shell company as defined under Rule 405. -Rule 144 is unavailable for transfers of our securities until we have ceased to be a shell company, are subject to the reporting requirements of the Exchange Act; we have filed Exchange Reports for 12 months and a minimum of one year has elapsed since the filing of Form 10 information on Form 8-K changing our status from a shell company to a non-shell company. Mr. Cai has served as the Chief Executive Officer and Chairman of Hangzhou Yanhuang Tea Company LRD. From 2007 to the present. Hangzhou is a company involved in tea research, sales and production in China. Under the leadership of Mr. Cai Hangzhou has become a highly profitable company with revenue of about Six Million Dollars in 2014 and Net Revenue of about Six Hundred Thousand Dollars. Mr. Kan graduated with a Bachelor’s Degree and subsequently completed Graduate Studies in Economics at Yamanashi Gakuin University in Kofu, Japan. From 2010 to 2011 Mr. Kan served as Chief Representative of Kang Etsu Japan Company, Ltd. From 2011 to 2012 Mr. Kan was a Credit Risk Manager at Zhongrong International Trust Company. From 2012 to 2013 Mr. Kan served as Operations Supervisor at Beijing Heng Tian Wealth Investment Management Company. From 2013 to 2014 Mr. Kan returned to Zhongrong International Trust Company as the Credit Risk Director. From 2014 to present Mr. Kan was been a General Manager at Tianjin Economic Information Consulting Company, Ltd.
Mr. Huang graduated from Xiamen University with a Bachelors Degree in Economics and received his Masters of Business Administration also from Xiamen University. From 2010 through 2012 Mr. Huang was the Chief Executive Officer of China Hou De International Group. From 2012 to 2013 Mr. Huang was the Chief Executive Officer of Xiamen Jiu Sheng Group Ltd. From 2013 to 2014 Mr. Huang was the Chief Executive Officer of Hong Kong Rong Sheng Company Lrd. From 2014 to Present Mr. Huang has served as Chairman of Hangzhou Long Yan Electronic Services Company Ltd.
Ms.Zhang engaged in Non-Degree Studies as Sicuan University from 1980 to 1984. From 2009 to 2012 Ms. Zhang was Chairman and Chief Executive Officer of Fu Bang Investment Company Ltd. From 2012 to 2015 Ms. Zhang served as President of Yin Ku Hui Tong Investment Management Company. 1.) The Company was incorporated with the name Yanhuang International Development Company, Inc. under the laws of the State of Delaware on June 22, 2015. The fiscal year end of the Company is June 30th. 2.) On June 30, 2015 Ke Yi Cai was appointed as our Chief Executive Officer, Chief Accounting Officer, and Chairman of our Board of Directors. Simultaneously to the aforementioned appointment, also on June 30, 2015, Yue Kan was appointed as our Chief Financial Officer and Vice Chairman to our Board of Directors. On June 30, 2015 Ding Fang Huang was appointed as our Chief Operating Officer. Simultaneously to the aforementioned appointment, also on June 30, 2015 Pingxi Zhang was appointed as our Vice President. We do not have an employment or consulting agreement with any officers or Directors. Our Board of Directors does not currently receive any consideration for their services as members of the Board of Directors. The Board of Directors reserves the right in the future to award the members of the Board of Directors cash or stock based consideration for their services to the Company, which awards, if granted shall be in the sole determination of the Board of Directors. Our Board of Directors determines the compensation given to our executive officers in their sole determination. Our Board of Directors reserves the right to pay our executives or any future executives a salary, and/or issue them shares of common stock issued in consideration for services rendered and/or to award incentive bonuses which are linked to our performance, as well as to the individual executive officer’s performance. This package may also include long-term stock based compensation to certain executives, which is intended to align the performance of our executives with our long-term business strategies. Additionally, while our Board of Directors has not granted any performance based stock options to date, the Board of Directors reserves the right to grant such options in the future, if the Board in its sole determination believes such grants would be in the best interests of the Company. In order to attract, retain and motivate executive talent necessary to support the Company’s long-term business strategy we may award our executive and any future executives with long-term, stock-based compensation in the future, at the sole discretion of our Board of Directors, which we do not currently have any immediate plans to award. In lieu of an Audit Committee the Company’s Board of Directors is responsible for reviewing and making recommendations concerning the selection of outside auditors, reviewing the scope, results and effectiveness of the annual audit of the Company's financial statements and other services provided by the Company’s independent public accountants. The Board of Directors reviews the Company's internal accounting controls, practices and policies. Our Company currently does not have nominating, compensation, or audit committees or committees performing similar functions nor does our Company have a written nominating, compensation or audit committee charter. Our Directors believe that it is not necessary to have such committees, at this time, because the Director(s) can adequately perform the functions of such committees. Our Board of Directors has determined that we do not have a board member that qualifies as an “audit committee financial expert” as defined in Item 407(D)(5) of Regulation S-K, nor do we have a Board member that qualifies as “independent” as the term is used in Item 7(d)(3)(iv)(B) of Schedule 14A under the Securities Exchange Act of 1934, as amended, and as defined by Rule 4200(a)(14) of the FINRA Rules. We believe that our Director(s) are capable of analyzing and evaluating our financial statements and understanding internal controls and procedures for financial reporting. The Director(s) of our Company do not believe that it is necessary to have an audit committee because management believes that the Board of Directors can adequately perform the functions of an audit committee. In addition, we believe that retaining an independent Director who would qualify as an "audit committee financial expert" would be overly costly and burdensome and is not warranted in our circumstances given the stage of our development and the fact that we have not generated any positive cash flows from operations to date. Our officers and directors have not been involved in any of the following events during the past ten years. 4. being found by a court of competent jurisdiction (in a civil action), the Commission or the Commodity Futures Trading Commission to have violated a federal or state securities or commodities law, and the judgment has not been reversed, suspended, or vacated. We have not adopted a formal Code of Ethics. The Board of Directors evaluated the business of the Company and the number of employees and determined that since the business is operated by a small number of persons, general rules of fiduciary duty and federal and state criminal, business conduct and securities laws are adequate ethical guidelines. In the event our operations, employees and/or Directors expand in the future, we may take actions to adopt a formal Code of Ethics. A shareholder who wishes to communicate with our Board of Directors may do so by directing a written request addressed to our President, at the address appearing on the first page of this Information Statement. As of September 9, 2015 the Company has 40,000,000 shares of common stock issued and outstanding, which number of issued and outstanding shares of common stock have been used throughout this report. On June 30, 2015 Ke Yi Cai was appointed as our Chief Executive Officer, Chief Accounting Officer, and Chairman of our Board of Directors. Simultaneously to the aforementioned appointment, also on June 30, 2015, Mr. Yue Kan was appointed as our Chief Financial Officer and Vice Chairman to our Board of Directors. Our principal executive offices are located at 1722 Nan Huan Lu, Bin Jiang District, Hangzhou, Zhejiang Province, China 310052. Our office space is currently being provided to the Company rent-free by Ke Yi Cai for as long as he deems it financially feasible to do so. Given our small size and limited financial resources, we have not adopted formal policies and procedures for the review, approval or ratification of transactions, such as those described above, with our executive officer(s), Director(s) and significant stockholders. We intend to establish formal policies and procedures in the future, once we have sufficient resources and have appointed additional Directors, so that such transactions will be subject to the review, approval or ratification of our Board of Directors, or an appropriate committee thereof. On a moving forward basis, our Directors will continue to approve any related party transaction. Below is the aggregate amount of fees billed for professional services rendered by our principal accountants with respect to our last two fiscal years. All of the professional services rendered by principal accountants for the audit of our annual financial statements that are normally provided by the accountant in connection with statutory and regulatory filings or engagements for last two fiscal years were approved by our board of directors. We have audited the accompanying balance sheet of Yanhuang International Development Company, Inc. (the “Company”) as of June 30, 2015 and the related statements of operations, stockholders' deficit and cash flows for the period from June 22, 2015 (inception) through June 30, 2015. These financial statements are the responsibility of the Company’s management. Our responsibility is to express an opinion on these financial statements based on our audit. We conducted our audit in accordance with standards of the Public Company Accounting Oversight Board (United States). Those standards require that we plan and perform the audit to obtain reasonable assurance about whether the financial statements are free of material misstatement. The Company is not required to have, nor were we engaged to perform, an audit of its internal control over financial reporting. Our audits included consideration of internal control over financial reporting as a basis for designing audit procedures that are appropriate in the circumstances, but not for the purpose of expressing an opinion on the effectiveness of the Company's internal control over financial reporting. Accordingly, we express no such opinion. An audit includes examining, on a test basis, evidence supporting the amounts and disclosures in the financial statements. An audit also includes assessing the accounting principles used and significant estimates made by management, as well as evaluating the overall financial statement presentation. We believe that our audit provides a reasonable basis for our opinion. In our opinion, the financial statements referred to above present fairly, in all material respects, the financial position of the Company, as of June 30, 2015 and the results of its operations and its cash flows for the period from June 22, 2015 (inception) through June 30, 2015 in conformity with accounting principles generally accepted in the United States of America. The accompanying financial statements have been prepared assuming that the Company will continue as a going concern. As discussed in Note 3 to the financial statements, the Company has suffered recurring losses from operations and negative operating cash flows which raise substantial doubt about its ability to continue as a going concern. Management's plans regarding those matters also are described in Note 3. The financial statements do not include any adjustments that might result from the outcome of this uncertainty. Yanhuang International Development Company, Inc. (the Company) was incorporated under the laws of the State of Delaware on June 22, 2015. Yanhuang International Development Company, Inc. is a start-up stage company that plans to sell tea and tea related products. Through our agreement with Hangzhou Yanhuang Tea Co., Ltd we plan to fill the growing need and demand for high quality tea and tea based products within China, the United States and Internationally. Currently, the Company is in its research and development stages. The Company intends to pursue the sale of tea products in the global marketplace through internal growth, industry leading development of high quality products, strategic marketing plans and possibly acquiring an existing target company or business currently operating in the tea industry in China and/or in the United States. As of June 30, 2015 the Company had not yet commenced any substantive operations relating to carrying out our business plan. The preparation of financial statements in conformity with generally accepted accounting principles requires management to make estimates and assumptions that affect the reported amounts of assets and liabilities and disclosure of contingent assets and liabilities at the date of the financial statements and the reported amounts of revenues and expenses during the reporting period. In the opinion of management, all adjustments necessary in order to make the financial statements not misleading have been included. Actual results could differ from those estimates. Due to the minimal level of operations, the Company has not had to make material assumptions or estimates other than the assumption that the Company is a going concern. The Company considers all highly liquid investments with an original maturity of three months or less when purchased to be cash equivalents. Cash and cash equivalents at June 30, 2015 were $0. The Company accounts for income taxes under ASC 740, “Income Taxes.” Under the asset and liability method of ASC 740, deferred tax assets and liabilities are recognized for the future tax consequences attributable to differences between the financial statements carrying amounts of existing assets and liabilities and their respective tax bases. Deferred tax assets and liabilities are measured using enacted tax rates expected to apply to taxable income in the years in which those temporary differences are expected to be recovered or settled. The effect on deferred tax assets and liabilities of a change in tax rates is recognized in income in the period the enactment occurs. A valuation allowance is provided for certain deferred tax assets if it is more likely than not that the Company will not realize tax assets through future operations. No deferred tax assets or liabilities were recognized at June 30, 2015. The Company does not have any potentially dilutive instruments as of June 30, 2015 and, thus, anti-dilution issues are not applicable. Fair value estimates discussed herein are based upon certain market assumptions and pertinent information available to management as of June 30, 2015. The respective carrying value of certain on-balance-sheet financial instruments approximated their fair values due to the short-term nature of these instruments. These financial instruments include accrued expenses. ASC 718, “Compensation – Stock Compensation”, prescribes accounting and reporting standards for all share-based payment transactions in which employee services are acquired. Transactions include incurring liabilities, or issuing or offering to issue shares, options, and other equity instruments such as employee stock ownership plans and stock appreciation rights. Share-based payments to employees, including grants of employee stock options, are recognized as compensation expense in the financial statements based on their fair values. That expense is recognized over the period during which an employee is required to provide services in exchange for the award, known as the requisite service period (usually the vesting period). The Company accounts for stock-based compensation issued to non-employees and consultants in accordance with the provisions of ASC 505-50, “Equity – Based Payments to Non-Employees.” Measurement of share-based payment transactions with non-employee is based on the fair value of whichever is more reliably measurable: (a) the goods or services received; or (b) the equity instruments issued. The fair value of the share-based payment transaction is determined at the earlier of performance commitment date or performance completion date. The company had no stock-based compensation plans June 30, 2015. Share-based expense for the period ended June 30, 2015 was $4,000. The Company demonstrates adverse conditions that raise substantial doubt about the Company's ability to continue as a going concern for one year following the issuance of these financial statements. These adverse conditions are negative financial trends, specifically operating loss, working capital deficiency, negative cash flow from operating activities, and other adverse key financial ratios. The financial statements do not include any adjustments relating to the recoverability and classification of recorded assets, or the amounts and classification of liabilities that might be necessary in the event that the Company cannot continue as a going concern. We follow ASU 2014-10, Development Stage Entities (Topic 915): Elimination of Certain Financial Reporting Requirements, Including an Amendment to Variable Interest Entities Guidance in Topic 810, Consolidation. The amendments in this update remove all incremental financial reporting requirements from U.S. GAAP for development stage entities and also eliminate an exception provided to development stage entities in Topic 810, Consolidation, for determining whether an entity is a variable interest entity on the basis of the amount of investment equity that is at risk. The Company has not recognized an income tax benefit for its operating losses generated based on uncertainties concerning its ability to generate taxable income in future periods. The tax benefit for the period presented is offset by a valuation allowance established against deferred tax assets arising from the net operating losses, the realization of which could not be considered more likely than not. In future periods, tax benefits and related deferred tax assets will be recognized when management considers realization of such amounts to be more likely than not. As of June 30, 2015, the Company has incurred a net loss of approximately $(5,400) which resulted in a net operating loss for income tax purposes. NOLs begin expiring in 2035. The loss results in a deferred tax asset of approximately $1,900 at the effective statutory rate of 35%. The deferred tax asset has been off-set by an equal valuation allowance. The authorized preferred stock of the Company consists of 20,000,000 shares with a par value of $0.0001. The Company has not issued any shares as of June 30, 2015. The authorized common stock of the Company consists of 1,000,000,000 shares with a par value of $0.0001. There were 40,000,000 shares of common stock issued and outstanding as of June 30, 2015. On June 30, 2015 the Company issued 20,000,000 shares of restricted common stock, valued at $2,000 at .0001 per share, to Ke Yi Cai for services rendered to the Company and as founder shares. On June 30, 2015 the Company issued 20,000,000 shares of restricted common stock, valued at $2,000 at .0001 per share, to Yue Kan for services rendered to the Company and as founder shares. Holders of shares of Common Stock are entitled to one vote for each share held to be used at all stockholders’ meetings and for all purposes including the election of directors. Common Stock does not have cumulative voting rights. Nor does it have preemptive or preferential rights to acquire or subscribe for any unissued shares of any class of stock. On June 30, 2014 the Company issued 40,000,000 of its $0.0001 par value common stock at $0.0001 per share and totaling $4,000 to the CEO and CFO of the Company in exchange for developing the Company’s business concept and plan. (1) All amounts are estimates, other than the SEC’s registration fee. Section 145 of the Delaware General Corporation Law (the “Delaware Law”) authorizes a court to award, or a corporation’s board of directors to grant, indemnity to directors and officers in terms sufficiently broad to permit such indemnification under certain circumstances for liabilities, (including reimbursement for expenses incurred) arising under the Securities Act of 1933. Article VII of the Certificate of Incorporation of Yanhuang International Development Company, Inc. (“we”, “us” or “our company”) provides for indemnification of officers, directors and other employees of Yanhuang International Development Company, Inc. to the fullest extent permitted by Delaware Law. Article VII of the Certificate of Incorporation provides that directors shall not be personally liable to the Corporation or its stockholders for monetary damages for breach of fiduciary duty as a director, except (i) for any breach of a director’s duty of loyalty to our company or our stockholders, (ii) acts and omissions that are not in good faith or that involve intentional misconduct or knowing violation of law, (iii) under Section 174 of the Delaware Law, or (iv) for any transaction from which the director derived any improper benefit. Insofar as indemnification for liabilities arising under the Securities Act of 1933 may be permitted to directors, officers or persons controlling the registrant pursuant to the foregoing provisions, the registrant has been informed that in the opinion of the Securities and Exchange Commission such indemnification is against public policy as expressed in the Securities Act and is therefore unenforceable. Delaware Corporation Law and our Certificate of Incorporation, allow us to indemnify our officers and Directors from certain liabilities and our Bylaws, as amended (“Bylaws”), state that we shall indemnify every (i) present or former Director, advisory Director or officer of us and (ii) any person who while serving in any of the capacities referred to in clause (i) served at our request as a Director, officer, employee or agent of another corporation, partnership, joint venture, trust, association or other enterprise. (each an “Indemnitee”). Our Bylaws provide that the Corporation shall indemnify any person who was or is a party or is threatened to be made a party to any threatened, pending or completed action, suit or proceeding, whether civil, criminal, administrative or investigative (other than an action by or in the right of the Corporation) by reason of the fact that he is or was a director or officer of the Corporation, or, while a director or officer of the Corporation, is or was serving at the request of the Corporation as a director, officer, employee or agent of another corporation, partnership, joint venture, trust, association or other enterprise, against expenses (including attorneys fees), judgments, fines and amounts paid in settlement actually and reasonably incurred by him in connection with which action, suit or proceeding, if he acted in good faith and in a manner he reasonably believed to be in or not opposed to the best interests of the Corporation and, with respect to any criminal action or proceeding, had no reasonable cause to believe his conduct was unlawful. The termination of any action, suit or proceeding by judgment, order, settlement, conviction or upon plea of nolo contendere or its equivalent, shall not, of itself, create a presumption that the person did not act in good faith and in a manner which he reasonably believed to be in or not opposed to the best interests of the Corporation and, with respect to any criminal action or proceeding, that he had reasonable cause to believe that his conduct was unlawful. Except as provided above, our Certificate of Incorporation provides that a Director shall be liable to the extent provided by applicable law, (i) for breach of the director's duty of loyalty to the Corporation or its stockholders, (ii) for acts or omissions not in good faith or which involve intentional misconduct or a knowing violation of law, (iii) pursuant to Section 174 of the DELAWARE CORPORATION LAW or (iv) for any transaction from which the director derived an improper personal benefit. If the DELAWARE CORPORATION LAW hereafter is amended to authorize the further elimination or limitation of the liability of directors, then the liability of a director of the Corporation, in addition to the limitation on personal liability provided herein, shall be limited to the fullest extent permitted by the amended DELAWARE CORPORATION LAW. Neither any amendment to or repeal of this Article 7, nor the adoption of any provision hereof inconsistent with this Article 7, shall adversely affect any right or protection of any director of the Corporation existing at the time of, or increase the liability or alleged liability of any director of the Corporation for or with respect to any acts or omissions of such director occurring prior to or at the time of such amendment. Neither our Bylaws, nor our Certificate of Incorporation include any specific indemnification provisions for our officers or Directors against liability under the Securities Act of 1933, as amended. Additionally, insofar as indemnification for liabilities arising under the Securities Act of 1933, as amended (the "Act") may be permitted to directors, officers and controlling persons of the Company pursuant to the foregoing provisions, or otherwise, the Company has been advised that in the opinion of the Securities and Exchange Commission such indemnification is against public policy as expressed in the Act and is, therefore, unenforceable. (ii) To reflect in the prospectus any facts or events arising after the effective date of the registration statement (or the most recent post-effective amendment thereof) which, individually or in the aggregate, represent a fundamental change in the information set forth in the registration statement. Notwithstanding the foregoing, any increase or decrease in volume of securities offered (if the total dollar value of securities offered would not exceed that which was registered) and any deviation from the low or high end of the estimated maximum offering range may be reflected in the form of prospectus filed with the Commission pursuant to Rule 383(b) (§230.383(b) of this chapter) if, in the aggregate, the changes in volume and price represent no more than 20% change in the maximum aggregate offering price set forth in the “Calculation of Registration Fee” table in the effective registration statement. (i) If the registrant is subject to Rule 430C, each prospectus filed pursuant to Rule 383(b) as part of a registration statement relating to an offering, other than registration statements relying on Rule 430B or other than prospectuses filed in reliance on Rule 430A, shall be deemed to be part of and included in the registration statement as of the date it is first used after effectiveness. Provided, however, that no statement made in a registration statement or prospectus that is part of the registration statement or made in a document incorporated or deemed incorporated by reference into the registration statement or prospectus that is part of the registration statement will, as to a purchaser with a time of contract of sale prior to such first use, supersede or modify any statement that was made in the registration statement or prospectus that was part of the registration statement or made in any such document immediately prior to such date of first use. Insofar as indemnification for liabilities arising under the Securities Act of 1933 (the “Act”) may be permitted to our directors, officers and controlling persons pursuant to the provisions above, or otherwise, we have been advised that in the opinion of the SEC such indemnification is against public policy as expressed in the Securities Act, and is, therefore, unenforceable. In the event that a claim for indemnification against such liabilities, other than the payment by us of expenses incurred or paid by one of our directors, officers, or controlling persons in the successful defense of any action, suit or proceeding, is asserted by one of our directors, officers, or controlling persons in connection with the securities being registered, we will, unless in the opinion of our counsel the matter has been settled by controlling precedent, submit to a court of appropriate jurisdiction the question whether such indemnification is against public policy as expressed in the Securities Act, and we will be governed by the final adjudication of such issue. Pursuant to the requirements of the Securities Act of 1933, the registrant has duly caused this registration statement to be signed on its behalf by the undersigned, thereunto duly authorized, in Bin Jiang District, Hangzhou, Zhejiang Province, China, on September 9, 2015.